SGA are pleased to host Catherine Beale on Wednesday 12th September at 7.30pm in the Parish Rooms, Somerton TA11 7NB. 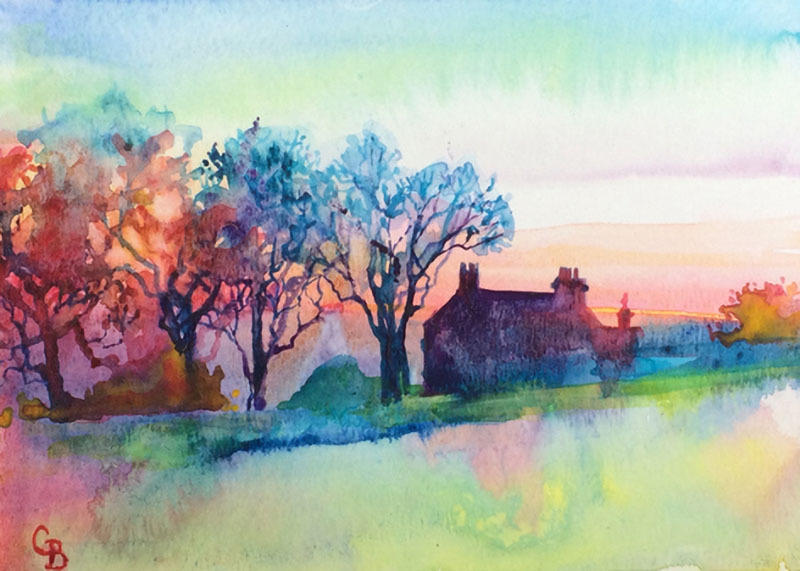 Catherine Beale is a painter specialising in light-filled watercolours experimenting and exploiting the behaviours of flowing watercolour pigments. This subtle, cascading technique enables pigments to mingle and react with running water to create delicate veils of colour. She is particularly drawn to larger-than-life portraits and landscapes, partly or wholly imagined. All are welcome join us to enjoy a fascinating evening with Catherine. For non-members there is a nominal charge of £5. 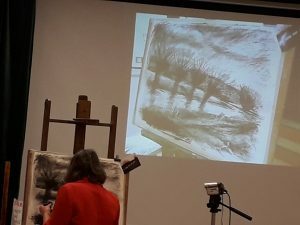 If you would like to find out more about Catherine and her work, please visit her website at www.catherinebeale.com.